The Top 5 Most Important Things Your Child Needs from their Reading Tutoring Classes. Tutoring isn’t a modern creation. For years, seeking a tutor to help with specific educational issues, in this case reading, is a beneficial relationship for students. While technological innovations have led to the emergence of online or app based tutoring, no entertainment or game can surpass one-on-one tutoring sessions like we offer at the Dicker Learning Center. The primary goal of our tutors is to help your child become a better reader for life. For tutoring in New York enrolling with the Dicker Learning Center is a great way of getting one-on-one learning support when your child needs it most. 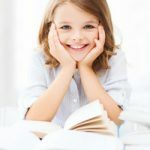 If you are already enrolled for tutoring, or you are thinking about it, these tips that will help you get the most out of the reading tutoring classes or services. The single most important factor for success in a tutoring session (as in many learning situations) is focus and concentration. A well designed and effective tutoring environment will enable and help your child become focused and concentrated on the task at hand. Distraction free non-judgemental lessons, that are fun and engaging, will go a long way to success. Once you and your child can appreciate this simple fact, the tutor can help the student in a meaningful and productive manner and get the most out of the tutoring process. Our learning center stresses a tutoring environment that is nurturing and fun. It is precisely why children are immediately receptive to our method because as they find they can succeed and have fun. When working with a tutor, students should feel comfortable and open to the experience. In addition to learning, playing simple games with the child, acknowledging and encouraging them, will enhance the session. Another factor that will determine how much you and your child gain from the tutoring will be the parent’s or guardian’s willingness to learn as well. Parents are partners in the learning experience. Parents can extend the success of each tutoring lesson by contributing to the encouragement of their child’s reading. More on this below. Comprehension, vocabulary and fluency are incredibly important as part of a tutoring regimen. Imagine that you are a child transitioning to 1st grade. It is likely that you would experience the shift away from the world of play to a world of concepts, symbols and work. Starting in the 1st and 2nd grade, children experience consistent and common reading problems. These issues include mistaking words that look alike, leaving off endings, adding on endings, substituting words or hesitating while reading. As the child progresses into the 3rd and 4th grade these issues are compounded. Additionally, new issues such as not observing commas and not understanding the meaning of words crop up as well. At this point it is not uncommon for children to be labelled learning disabled, AD, ADHD or Dyslexic because nothing was done to address the problems of the past. The tutor should understand these issues, when they occur, assess the child’s ability and seek to address these comprehension, vocabulary and fluency problems as they arise and at an appropriate grade level. With the greater expectation placed on children as they progress, the larger the likelihood earlier reading difficulties will resurface and make the problems worse. Shifting from a frustrating experience of “I can’t learn” to the exciting feeling of “I can” opens the child to success. For too long, many children with reading problems have experienced mounting and overwhelming frustration. They have been made to feel inferior or have been labelled. There should be no judgement at tutoring sessions. Encouragement and acknowledgement should reign when working with the child. The only emotion that should take over is the child’s joy of reading and accomplishment. When working with children, we approach their world with one of encouragement and kindness. As they learn, you will witness the shift from “I can’t” to “I Can” and it is an amazing experience. Parents and guardians are essential part of the learning experience. They are truly a child’s first teacher and in many situations their first homework, math, science and reading tutor as well! Parents who let go of the anger, frustration and blame and substitute encouragement, acknowledgement and praise will extend the success of a tutoring session. It takes patience and persistence on the part of the parent to resist from setting too high an expectation on the child. You will be amazed as your child shifts from “I can’t” to “I can” and experiences the lifelong joy of reading. But they will have no better joy than the praise, patience and encouragement of their mom, dad and family members. Al Dicker is the founder and owner of the Dicker Reading Method and the Dicker Learning Center. His method has helped over 10,000 children learn to read. If you would like to learn more, visit dickerreading.com or call 1-888-701-READ. Home » The Top 5 Most Important Things Your Child Needs from their Reading Tutoring Classes.